This is one of Hawaii's legendary trails. 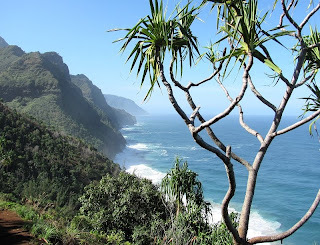 You can, with a permit, walk it's entire 11 mile length to Kalalau Valley. Amy and I did this as a three-day trip a few years back; we camped at Hanakoa on the first night and at Kalalau on the second, then walked out all the way on the last day. 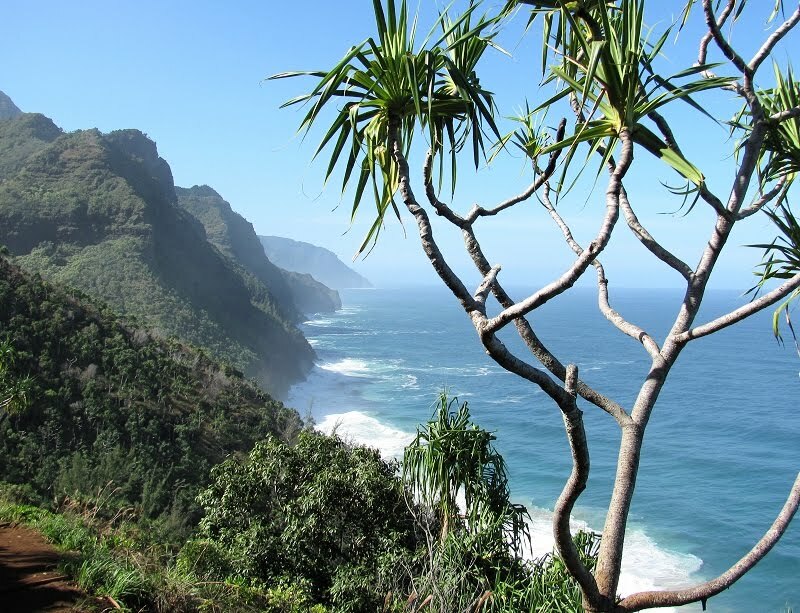 Today, our aim is Hanakapi'ai Beach, and some of the group will push on an additional 4 miles (round trip) to Hanakapi'ai Falls. Even though the falls are only 2 miles from the Hanakapi'ai Beach, Matt reminds us that these are 2 "Hawaiian miles" over rough terrain so the going is slower than most people would expect.